Dental implants are a great solution to restore your attractive smile by replacing missing or damaged teeth. We provide restorative surgery to improve your overall oral health and smile. Our priority is to see you leave our clinic fully satisfied. Whether you have suffered from tooth loss due to gum disease, decay, trauma or old age, our dental implants treatment may pave the way to a new and confident smile. No difficulty at the time of eating and chewing. Fit properly without the need for adhesives. Restore facial features and bring back your attractive smile. Prevent bone loss from your missing teeth. Improve your oral health and hygiene. Enhance your appearance and confidence. Lasts for a long time when taken care of. At Shirley Park Dental Surgery, our team of dentists will prepare a customised treatment plan based on the needs of the individual. After this, the tooth root implant made of titanium will be placed into the bone socket of the missing tooth. When the jawbone begins to heal, it grows around the implanted metal post by anchoring it securely in the jaw. The healing process may require somewhere from six to twelve weeks. Once the implant is bonded to the jawbone, an abutment will be attached to the post which will hold the new tooth in place securely. Our dentist at Shirley Park, South Croydon will create impressions of your teeth so that they can start making your new teeth. The new tooth/teeth will be based on this particular model and a replacement tooth, known as a crown, will be attached to the abutment. Some patients might have attachments placed on the implant which supports and retains a removable denture. Our dentist will match the color of your new teeth to your natural teeth. Since the implant is secured within the jawbone, the replacement teeth will look, feel, and function like your natural teeth. 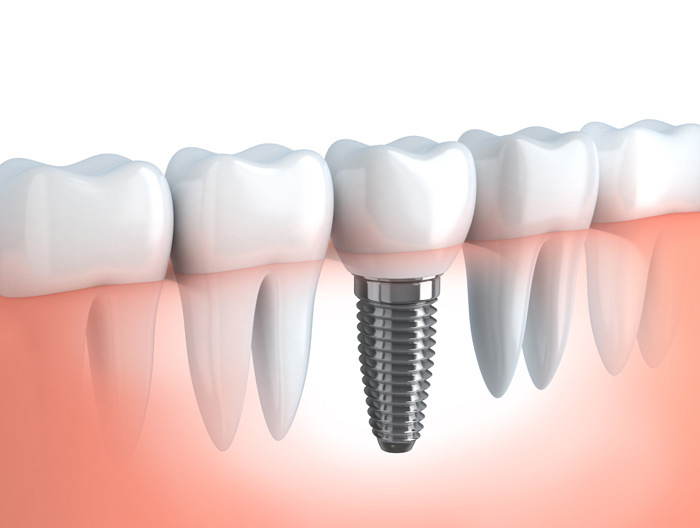 Dental implant is suitable for most adults who have good health and healthy gums. However, they are not a good option for children and young people under 18 since their bones are still growing. Our dentist will suggest if you can perform the treatment. How painful is the implant procedure? Unlike other surgical procedures, dental implants involve some discomfort. However, local anaesthesia may be used so that the implants can involve less pain when compared to tooth extraction. With proper care and maintenance, dental implants are meant to last for a lifetime. They are a permanent solution for lost teeth. What is the cost for the procedure? Our dentists at Shirley Park Dental Surgery charge affordable rates when you perform an implant treatment at our clinic. The price for a tooth implant is £1800 while the cost for multiple teeth implants may be as high as £15000.